Ankle sprains are a common sporting and mishap injury. Usually the injury involves stretching or tearing the outside ligaments of the joint which will happen when the ankle moves inwards. Occasionally the inside ligaments can be injured when impact is high or when the ankle is moved forcefully outwards. Pain on the outside of the ankle following injury is most common. Bruising and swelling may also be present depending on the severity of the injury. 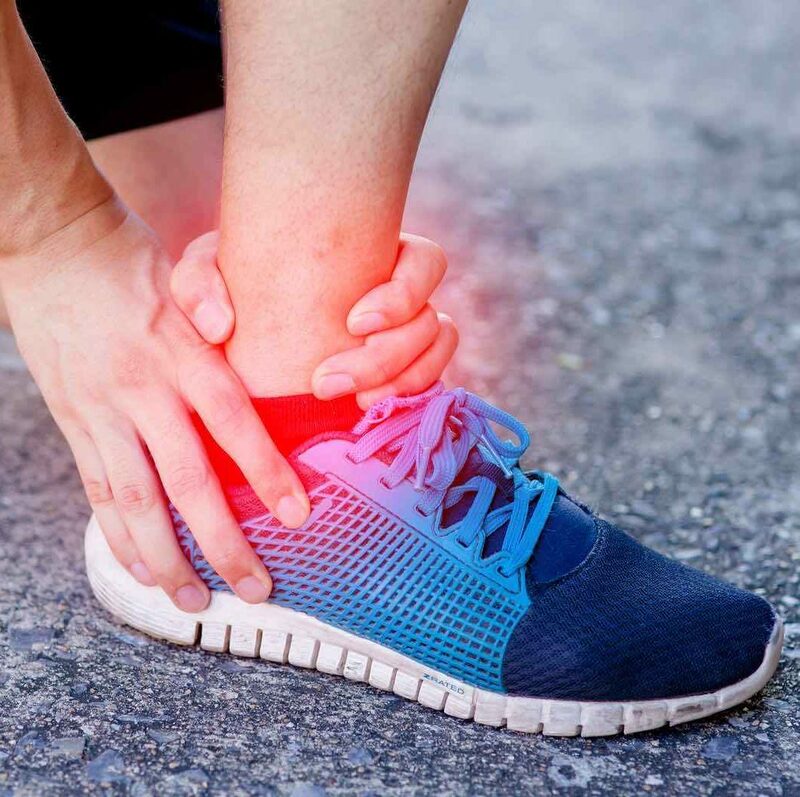 Ankle sprains can also lead to injury of the peroneal tendons on the outside of the ankle, fracture of foot or leg bones and damage to the cartilage and ligaments inside the ankle. Ankle sprains may occur during sports that involve jumping and side to side movement e.g. Football, basketball, netball and tennis. Mishap injuries can result from falling from a height, tripping over, and the use of high heeled shoes. Rest immediately post injury to allow the area to settle. It is common for swelling to be quite bad. Ice for 20 minutes every 2 hours. Use a bandage to compress the ankle. Elevate the ankle above the level of the heart e.g. lying with the foot propped up. Review by a health professional (e.g. Podiatrist or Physiotherapist) if you are unable to take weight on the affected leg. If you are unable to take weight on the leg or tolerate it being touched, there may be a fracture in the area which will require x-ray and immobilisation. Up and Running Podiatry has CAM walker boots available onsite. Depending on the severity of the ligament injury, a rolled ankle generally takes 3-6 weeks to resolve enough to be pain free. However it is very common for ankle to have poor balance following injury. Podiatrists and physiotherapists can guide return to sport with exercises to develop stability of the joint. This is particularly important in reducing the likelihood of repeat ankle sprains, which reduce the long term strength of the ankle. Your Podiatrist will also be able to provide activity specific footwear advice, to ensure appropriate support.